Golf Course Weddings are great! The golf course lends itself to some beautiful scenery. One important factor when planning a golf course wedding is sunset. You always want to check with your wedding photographer about the golden hour. 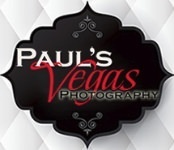 Here at Paul's Vegas Photography we always look at the time line that has been proposed and try to work it out so that your portraits are at the perfect time. Most golf courses do not have any lighting so we want to make sure everything goes off as planned. It is critical for those portraits to be taken at sunset for the best possible lighting conditions. Here are a few of the latest sunset pictures we have taken at several different golf courses in Las Vegas NV., and Bullhead City AZ. These are just a few of Laughlin Ranch Golf Course weddings in Bullhead City, Arizona. These are some of the golf course weddings we have done in Las Vegas, Nevada, at TPC golf course in Summerlin, NV, Red Rock Country Club, Reflection Bay and Wedgewood at Stallion Mountain. Paul Bloch - Thanks Cibele! Cibele M. - Those are perfect beautiful images! Great job! I love your work!